New to performance management? Looking for a refresher on the latest techniques, tools, and strategies? Whether you're building a program from the ground up, or modernizing your current system, this is the guide you've been looking for. In order to keep up, organizations must rethink the way they build, engage, and retain an exceptional team. Recruitment, engagement, and retention drivers of the past like salary, benefits, and perks are today's basic table stakes. Organizations that fail to meet these needs will struggle. Without an organizational culture and structure that supports it, employee engagement will decline, if it exists at all. Without a definitive and compelling employee value proposition, recruitment and retention will also suffer. Traditional performance management is inadequate. Most legacy methods are ineffective in fulfilling modern employee requirements, and many even work counter to them. Although some traditional performance management strategies were considered viable options in the past, most have proven over time to be problematic, or even harmful. Inaccurate employee performance evaluations impair employment decision-making, and breed mistrust from employees seeking honest feedback and transparency. Arbitrary ranking saps purpose, impedes collaboration, and stifles innovation. Forced distribution places employees in competition with one another, rather than promoting an atmosphere of collaboration and camaraderie. These are just a small sample of the many issues with traditional performance management programs that can be resolved through a more modern, thoughtful approach to performance management. What is modern performance management? Prioritize growth over innate skills. Leverage contemporary psychological and organizational research. Seek to learn from and improve on traditional strategies. You'll gain the foundational knowledge, and learn the necessary steps you'll need to successfully develop a modern performance management process. You can start with any section you find interesting or useful, but we recommend that even seasoned professionals start with the fundamentals, and build up from there. 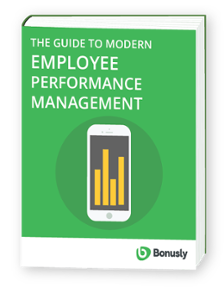 Even if you're already familiar with the fundamentals of employee performance management programs, reviewing them will be a great opportunity to brush up on current best practices. A great deal has changed in performance management systems, even in the past few years. Are you ready to make an impact? Let's get started! We're going to take a scientific look at the fundamentals of performance management: what works, what doesn't, and why. Then we'll outline best practices, and identify steps you can take right away to improve your performance management process. 90 percent of companies that have redesigned performance management see direct improvements in engagement.